There are many cultures which use psychedelics not to get high, but to understand the supreme and listen to it. For them these plants have psychological and religious properties. This article talks about five such ecosystems around the world. 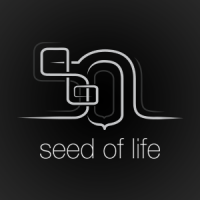 S.O.L(Seed Of Life) posted a topic in Books and literature! Have you guys had a chance to read new Mr. Pollan’s book - “How to Change Your Mind: What the New Science of Psychedelics Teaches Us About Consciousness, Dying, Addiction, Depression and Transcendence,” ? He has a lot to say about on LSD, psilocybin mushrooms and other psychedelics and the way we can use them to heal mental and emotional afflictions. Check this article here - it will help you get an idea what the book is all about and give you some insight on new science of psychedelics. Limelight Projection Mapping has been involved in 3D projection mapping, light painting and light installation since 2006. Regularly invited light festivals worldwide such as the Amsterdam Light Festival or the Skyway International Light Festival in Poland. The award winning A & A Award for Design Award and Competition, Interconnection in 2016 has already earned the largest 3D projection mapping competition, iMapp Bucharest jury and audience prize. Read more about this team >>HERE<< and enjoy some great videos! Congrats to Crossing Mind . Glad to hear that he's gonna perform on Boom. Transylvaliens Festival ! 28-31 July , Sibiu , Romania !